The ski area Hochkönig is situated amidst the Hochkönig mountain range and is the highest massif of the Berchtesgaden Alps. The Hochkönig’s peak looms over the glaciers with an altitude of 2941 m. Visitors can enjoy a fantastic view on other massifs of the Berchtegaden Alps from the Matrashaus, right on the peak of the Hochkönig. 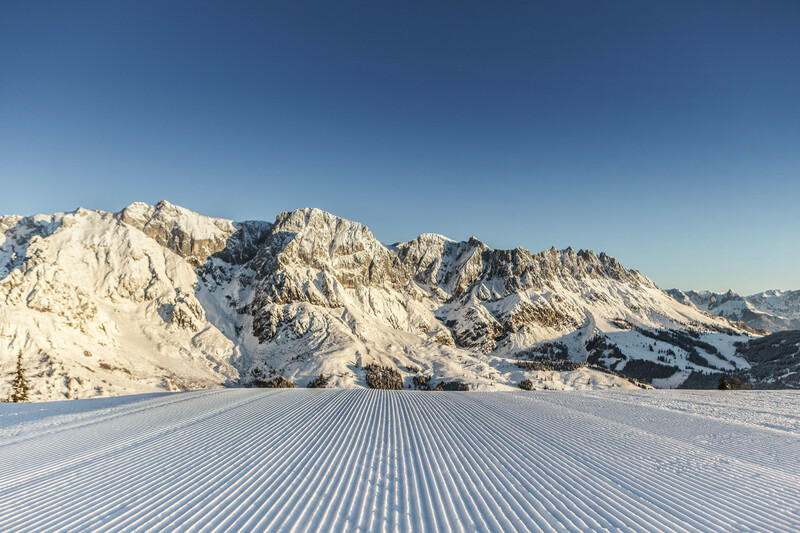 Family-friendly policies, reliable snow condition and very well groomed slopes for all levels of difficulty characterise the spacious ski area.